Hello everyone! 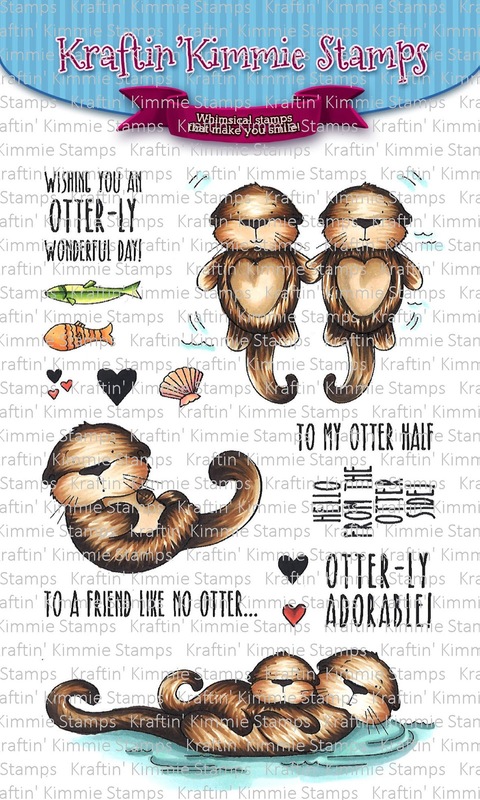 Welcome back to day three of our June Krafty Peeks at Kraftin' Kimmie Stamps! Today is our final day of peeks and the party is this afternoon at 1pm EST on Facebook! 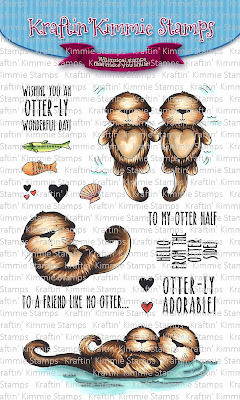 Our last stamp set is a FURRY fabulous set by artist Melissa Baker-Nguyen, called FROM THE OTTER SIDE! And don't forget! It's also Challenge Day and the challenge is ANYTHING GOES (as it always is during release week)! So create a card a card, scrapbook page or altered item ! We would love to see your KKS designs. You have a week to play and at the end of the month, a WINNER will be announced from all the weekly challenges for June! We hope you can play along for a chance to win a $40 Gift Certificate to the krafty shop! All of the Krafty Krew and Guests listed below have lots of designs to share with you! Be sure to hop around and leave some love at each and every stop because one lucky commenter will WIN a gift voucher to the store! See you this afternoon at the PARTY! Can't wait to get creative. I love the framing! Very cute otters! Darling card! Love the otters! Awwwww ❤❤ so sweet! I love the frame on your card, finishes it perfectly! I like how you used the white gel pen to get the fur texture! great idea! Your otter card is super adorable! I love that you made it look like a picture. Oh my goodness, such a sweet card and your coloring is fabulous! 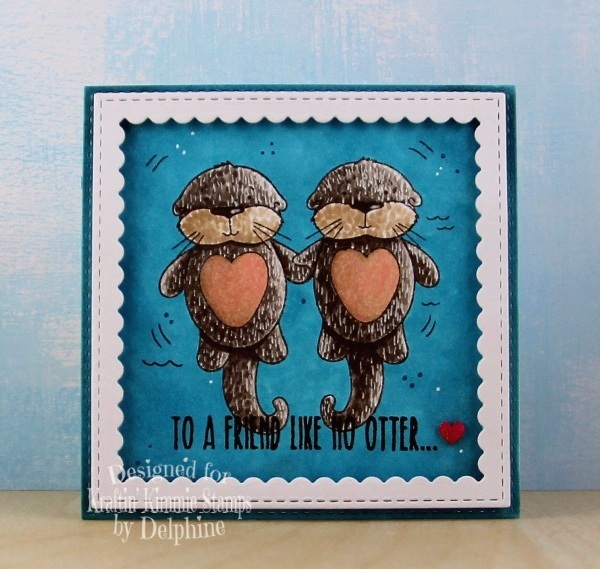 Such a wonderful card!I love how you textured the otters!Great job! Very well done; they actually look wet!!. Your card is otter-ly adorable and I LOVE the texture in the fur on the little critters! Awesome card!